The Los Angeles Clippers are coming off another terrible season, where they posted a 19-63 record. However, this year the Clippers have made some key additions that could lead them to winning the Pacific Division. That most likely will not happen; just a year ago everyone was saying the Clippers will make the playoffs with L.A. native Baron Davis, and we all know how that turned out. The Clippers are a big tease. For years they have been in a hole, and just when people think they are out, the team gets pulled back in. However let’s give them credit for trying to improve. In years past Clippers owner Donald Sterling has been known to be cheap but has opened the checkbook in the last couple of years. The Clippers should be better this year, and their roster is surprisingly stacked. They added No. 1 draft pick Blake Griffin, who looks like the next Charles Barkley. Also, second-year player Eric Gordon should be better after his stellar rookie season. He averaged 19 points and shot 48 percent from the field after the All-Star Break. Newly acquired Rasual Butler’s length should help the defense. He also will provide some three-point shooting. A healthy Chris Kaman will provide an inside presence. Kaman missed more than half of the season last year with a foot injury — and Marcus Camby, when healthy, is one of the best defenders. However, Camby is hurting again. He is doubtful with a high ankle sprain in the season opener against the Lakers. 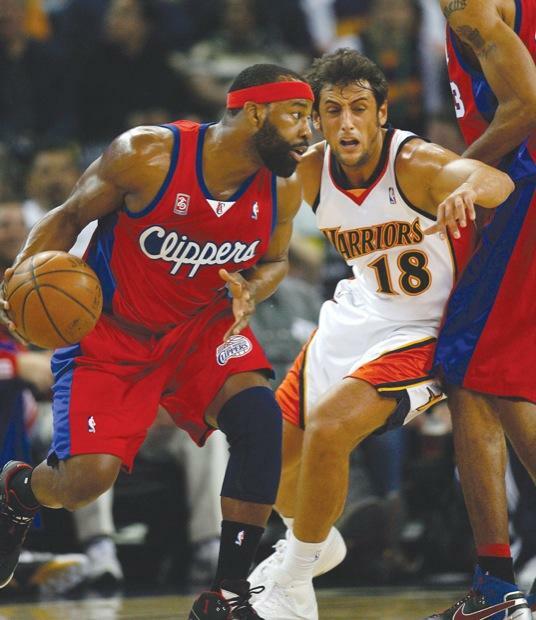 Finally, Baron Davis has proven that he is one of the best point guards. He just needs to stay healthy, and stay mentally focused. In his first year as a Clipper, Davis had one of his worst seasons statistically. He shot 37 percent from the field. Clippers have always had talent. They used to possess Elton Brand, Corey Maggette, and Lamar Odom. So, talent is obviously not the problem. The problem with the Clippers is chemistry. The Clippers need to do two things to enjoy success this season. They need to fire their coach or start listening to him. Mike Dunleavy is a great guy, but taking the Clips to the second round of the 2006 playoffs is old news and needs to start winning soon. It’s not entirely Dunlevy’s fault that Clippers fell apart last year. L.A. was hit with the injury bug for most of the season. Injuries are a part of the game, but when adversity hits, it seems like their bodies start falling apart. Furthermore, the Clippers will do neither. They will improve, but not enough to make the playoffs. The West is stacked with about nine good teams, and the Clippers are not one of them. They will probably start off good, and finish 40-42. It seems that the Clippers will forever be known as the other team in Los Angeles.